This necklace is created in my blacksmith shop using the four elements. Fire, Wind, Earth & Water…plus a large caliber bullet. 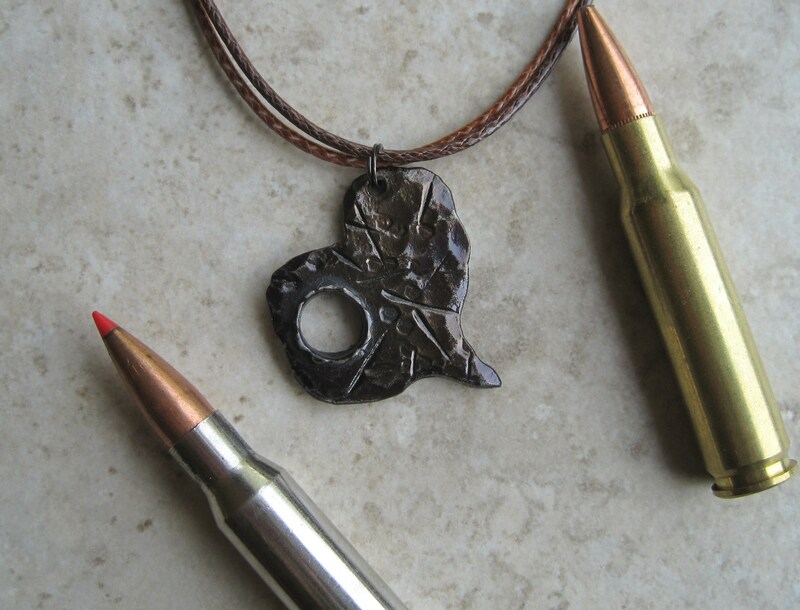 That’s a real bullet hole in the metal heart to symbolize loss & survival. I like to think of it as a “combat medal” for life’s hardships and relationships that didn’t work out so well. This particular heart represents how scarred and banged up our heart can be and still be beautiful. Contact me at olsonironworks@yahoo.com if you would like to commission one of these hammer forged items.